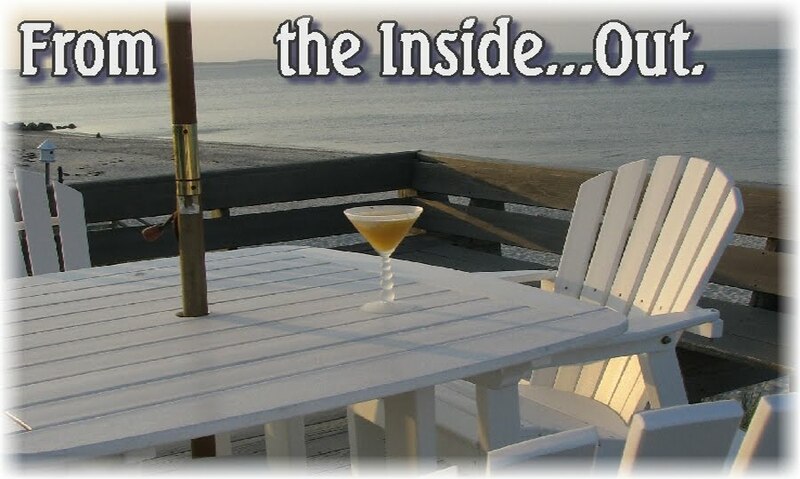 From the Inside...Out: Think. Or Maybe Not. Welcome to 9:30pm on a Tuesday night…as a stressed Connor (13) and a clueless ME…attempt to compute twenty questions…including the one above. Connor went to bed...I poured another glass. Okay, so maybe I embellished that last one...just a tad. Can someone please explain to me the logic of this....item? How does this help the...overall...(*cough!*)...process? What am I missing here? …..because it’s such a hassle to have to go out to be baptized, don’t-cha-know. I know you’re just dying to know the cost for one of these babies, so I went into the site. ('Cause inquiring readers just have to know...) First page explains that you can evidently “set up and take down in minutes….Baptize and store away!” It's like they're inside my freakin' head! Anyway, you can get the “basic package” for $1999, but that (of course) does NOT include the “Bapistry Heater”, which will set you back another $459.00. And it just seems to me....that you can't possibly have one without the other. I mean, seriously. I have a question; who thinks those things through in real life? What's the point of those problems anyway. P.S. Love the portable baptizer. This made my brain tired just reading. XD Interesting though to say the least. I think someone has too much time on their hands though to think up all that stuff. I just got finished with this week and had similar questions as these. I swore off math for the rest of this week till I go back on Monday! Golden rule of maths: Don't drink and compute. That said, if I had more than 2 brain cells left, I'd most certainly devote them to helping out your kid with his math stuff. 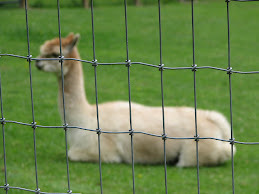 But since all I can do is sit idly by...I'll wish him and you all the best luck with it! Love that portable baptism thingy...it reminds me of what my Mom always says to me..."Tomorrow another Pope might be born". What really frustrates me, is that my 4th grader brings home homework questions like this. Just like this. But, they don't even teach until 5th grade (even though, in her math book, it says "divide".). I can't even wrap my brain around some of it... let alone my 10 year old! And I'm constantly having to google some of the terms they want her to do... Most she knows, but I'm shaking my head screaming "What???". That was suppose to say they don't even teach division... apparently, I forgot to put that in there. I have to do these sorts of sums when I am doing DIY around the house - like how much material do I need to get to make curtains, taking into account the pattern repeat and width of the window etc.? Or cans of paint if each can will do x square metres. Or rolls of wallpaper. Thankfully it doesn't happen often, and I usually go on the interweb until I find some nifty calculator that someone else has set up. And then order extra just in case anyway and end up with loads left over cos I miscalculated in the first place!! I have to admit, being able to do the 'curtain math' is pretty impressive...I was agog watching the woman in the curtain shop fiddle around with figures and terms like 'pattern repeat' and 'selvage', but then again, I'm easily impressed. 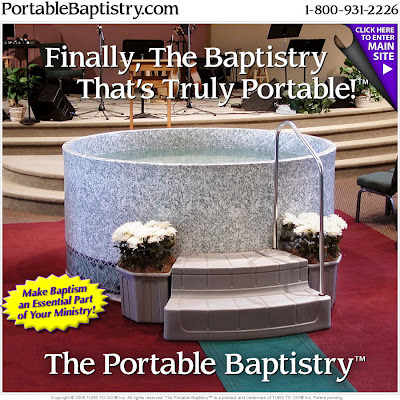 I WANT A PORTABLE BAPTISTRY!! Oh and a portable radiation bunker. I'm not at liberty to deny or confirm this, but I think the martians are planning something. How would the baptistry help me you ask? Why, we'd baptize them first to show them that human kind is good, and then run for cover in the bunker when they get pissed for being dunked. Don't worry, there's enough space in the bunker for all of us, and then we can use the baptistry as an indoor swimming pool. See? Recycling. 1) there is 500mL in the large so that would Ms. Hoyne the little piggy for drinking more than Mr. Murrin by 50mL. 2) this one was a little harder because i don't have a calculator, but I guess 83.82 tanks. So rounding off to 84 tanks. 3) she can make 8 shelves and she will have 3 boards left. Oh - the portable baptistry can be heated? Even for $2458 (look - I did Math! in my head!) - that's cheaper than a hot tub. Sign me up! Oh my hell. Just reading those problems made me want a drink - and it's not even 9:00 am yet! I agree with you - it's child (and parent) abuse. “Willow bought 12 ¾ yards of fabric and used 5 ½ yards for a pair of curtains and 2 5/12 yards for a tablecloth. On a scale of one to ten, how hideous was the end result? And, did Willow really use the remaining material to make several toilet-tissue cozies for future Christmas gifts?” I purchased three of those Toilet-tissue cozies - I particularly liked the lime green, orange and pink stripes with the brown and yellow circles. Gosh, I did't know willow had made matching curtains and tablecloth. Where Can I buy them? A portable heater on the baptistry?? Isn't that another word for hot tub? I always hated word problems in math. Thank goodness the Ex is an engineer. But who the heck makes toilet paper cozies and why the heck did Miss Hoyne buy a large milkshake if she was only going to drink half of it. Doesn't she know there are starving kids in the world? Disgraceful, such wastefulness. One car drove at 90 km/h and the other one drove at 110 km/h. How long was the distance between two towns when the other car spent 30 minutes less driving from one town to the second town? I hate word problems. Hate them, hate them, hate them. My poor child is doomed! SPOT ugh, I did a stupid mistake. GRR. that used to happen to me all the time. I do too much in my head instead of on paper and i rush into answers. That portable baptism cauldron (lol) may be called a hot tub in our neck of the woods. Love LOVE how you go on tangents with the problems. Reminds me of the book "Math Curse." It truly, truly, is. Just once in my entire working life (and I reckon that was a lot) I was asked to figure out something like that. There was someone in the office who could do it. Her ambition is to be an actuary. Those things are best left to the strange individuals who know the answer automatically. The rest of us have better things to think about! Ok. Don't hate me but as I was reading those word problems I was solving them in my head. 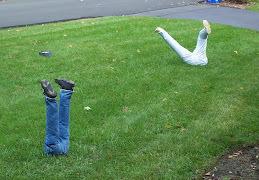 This is why my sisters always hated me when we were younger. It's a sickness. I know. I can't help myself. And if anyone happens to -- ahem -- make a baby in the mobile hot tub / heated baptistry (you KNOW it happens), they should technically be able to skip the actual baptism, no? I couldn't stand story problems either. If I'm going somewhere, Mapquest can tell me the shortest & fastest way to go & even lets me avoid construction! Oddyoddyo13: Ha! I don't know, sweetie! I guess maybe people's toilet tissue was getting cold? (Tissue cozy...get it?) Weird stuff. Gavin: Uh-huh. I'd be interested to know how much green these ppl actually make...could there actually be ppl out there that think, "I MUST HAVE THAT!" christiejolu: Ha! I thought it was important for our sanity that I finish off those brain-numbing questions of Connor's with something light and well, ridiculous! Jenny: Aw, baby....it's okay....it's all over now. No more numbers...Connor'll finish the rest...I don't even CARE what grade he gets. Here...have a cupcake. Better?? Now, give me a bite! GRUNTILDA: Well, you could always sit NEXT TO Connor and say big, encouraging words like, "Way to go!" And, "You can do this!" whilst sipping a dirty martini. It won't be the first time he's seen people do this, ya know. Thaydra: I feel your pain. It's incredibly frustrating...and it's getting harder and harder for me to help at all...esp. if I have to keep Googling Dr. Math, or whatever his name is...and then I don't understand his explanation either! I'm starting to feel really stupid! Runnergirl: Well, you've just given me a great way to explain to him that some of this stuff really will be used again in "real life". He's convinced they invent this stuff just to punish him! brite: Oh, she'd lose me at the word "selvage". I'd be the one with the blank stare, wondering how much I could offer her to come home with me and just complete the job then and there! Fierce: Oh, you are SOOOO smart! You've thought of everything! And we'll have the portable fish as a pet (or an emergency meal ((ew)) and the portable stripper pole for entertainment purposes only. Plus, it could double as a jousting tool and a balance beam! Good times!! KT: You are my IDOL! Gee...wish I'd thought to check my comments earlier. I'll have to double check yours and Connor's answers when he gets home today. From now on, will you be our "GO TO" KT-Math-Wizard-Extraordinaire? Ya know, in case of emergency?? ValleyWriter: Yum! Where are you gonna put it, sweetie? In the middle of the living room? I mean, it IS portable...so you could pick a different room for every day of the week. I'll be over on Monday, k? Gigi: I think it's reached that point! Maybe it's me, but it seems like a LOT for one so young...and it doesn't help that I'm quickly becoming WAY over my head with this stuff! This does not bode well. BlackLOG: HA! I particularly enjoyed your enthusiasm for Willow's matching curtains, tablecloths and toilet-seat-covers (did I mention that) to match your TP cozie...I've given her your contact info, so you should hear shortly. Try to contain your excitement. Um. The portable coffin would be an urn? And I'm penning a letter now to whom it may concern about acquiring the rights to the south pole. What a find! Score! Maureen@IslandRoar: There you go...that's why parents should be required to compliment each other...in some fashion. Otherwise, you're stuck with good old Dr. Math...who's not all that helpful, imho. Spot: Don't worry. I've got you on speed-dial, and Mrs. Hoyne is getting a wake-up call in the form of a concise reminder that "waste not, want not." That'll show her! Adele: YIKES! Well, the only thing I've retained is that if you're traveling at 60mph, you'll go 60 miles in an hour. Isn't that enough? I mean, seriously?? Oh, and PS: I wish Blogger had an easy way to translate your page so I can read it...any suggestions would be appreciated! No, no the portable coffin is not an an urn. That would be the equivalent of a space saver tyre - we are talking full size, uncooked body carrier. Looking forward to the entire willow range. I hope she does wallpaper and carpet? P.S. sorry beat you to the portable South pole and took out inter-planetary rights to its distribution last night. jmberrygirl: Nah...not doomed! Either hubby will know what to do, or one of the Grandparents will. You don't have to know EVERYTHING, sweetie! uo-chan: Thanks, honey. Go easy on those shakes...and have a great day yourself! WannabeVirginiaW: HA! Well, when you add a religious reference to it, you can evidently call it anything you want...and charge accordingly. What are ya gonna do? Sometimes, ya just gotta have one. Allegria: Is this "Math Curse" a math book? Or a novel with a name that just happens to include math? 'Cause one I'd buy, the other? Not so much. Tina: God..I just think people who can do this stuff are totally wired differently! You KNOW Einstein was one of them...god, I envy that! I was fine till da boys hit about 5th grade...it's been all downhill from there, dammit. Tia: Nope...one comment this time. I'll always delete the 2nd one if I see it, sweetie. And I'm jealous for your gift of doing math so easily! I used to be better, but it's getting harder as da boys get older! Wendy Blum: HA! I was just thinking that you could put the stripper pole on the END of the deck, so you could do a perfect header directly INTO the portable Bapistry...kinda like a fireman's pole...only a lot more FUN! Oh, I LOVE your idea! And perhaps some of those hunky fire brigade men that blacklog was talking about could visit and then that would REALLY be a party ;) We'd also save money on the heater. With all the steam comin' off the hunks we'd have all the heat we'll ever need! WOO-HOO!! Finally!! Bastistry that is TRULY portable! As apposed to baptistry that is only falsely portable. And portable goldfish bowls? For taking your fish on walks, I bet. Or you could just let it live in the portable baptistry. Wendy Blum: Well, there you have it! It sounds like we've got one hell of a plan!! HereIsYourVerse: HA! Very good point! Although, with all the pole-vaulting we want to do into this heated bapistry, I do believe we'd probably kill the fish. Ah, well. Erin@TheLocalsLoveIt: I'm with you, kiddo. Unfortunately, this means that Connor's on his own! Hubby is good with math and he gave up after the first problem, said it was giving him a headache! LOL! I wouldn't even dare try those problems. That tp cozie, was awesome! Something everyone needs to solve the over and under issue! LOL! A large milkshake contains 500ml. Mr. M drank 200ml, and Miss H drank 250, so Miss H drank more. That's as much as I'm doing for a Sunday afternoon. I just turned 13 and this wasn't too bad, just really confusing. Heather: HA! I'm with hubby....it astounds me that 7th grade math has gotten so hard! I don't remember it being this hard! CatandMouse: Excellent....made even moreso by the fact that you did it on a Sunday. I'm impressed! uo-chan: You'll be okay, sweetie. You've got the trip to Japan right around the corner!